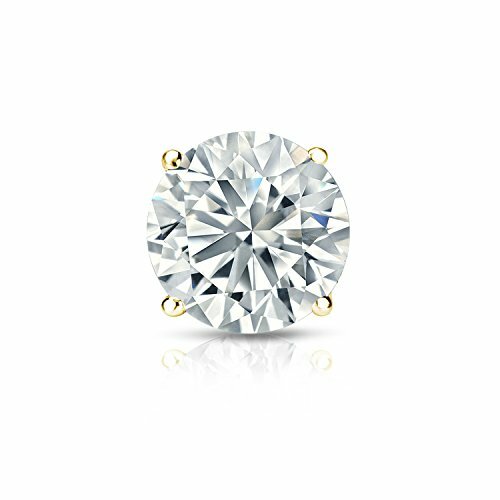 This elegant single diamond stud earring feature a 4-prong basket setting in a glistening 14k yellow gold metal. The stud include dazzling round-cut diamond with a total weight of 1/3 ct. and comes with screw-back clasp. If you have any questions about this product by Diamond Wish, contact us by completing and submitting the form below. If you are looking for a specif part number, please include it with your message.